We’ve sifted through our email inbox, Facebook message board and even some old-fashioned handwritten letters to compile a list of the eight most frequently asked questions about domestic violence. Here are the answers. Is what I’m experiencing abuse? Physical abuse is pretty easy to identify. It’s also more prevalent than you might imagine. But domestic abuse takes many more forms than just physical; it includes emotional abuse, financial abuse, sexual abuse and spiritual abuse. Check out “Am I Experiencing Abuse?” if you’re unsure. My abuser is my main/only source of income. How do I get on my feet if I leave? Finances are one of the most significant barriers to leaving. But you can leave and find ways to support yourself and your family. Start here: “Finding Your Financial Footing After Abuse.” And if you live in a rural area, check out these resources especially for you. How can I find help in my area? That’s an easy one. Just go here and type in your ZIP code. 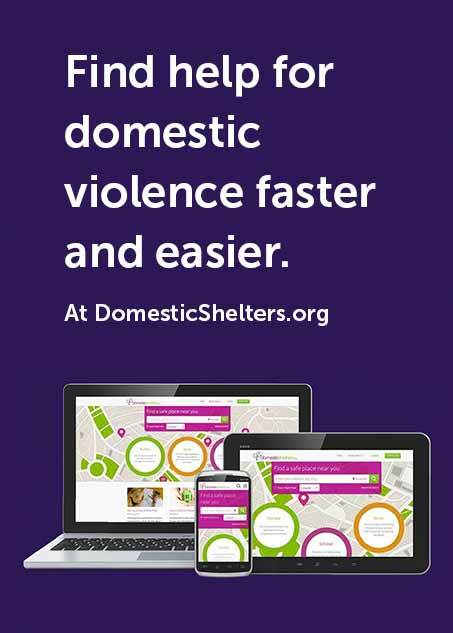 You’ll get a list of the shelters and domestic violence programs in your area that offer housing, safety planning, advocacy, job training, legal assistance and more. What if the shelter near me is full? Overcrowding and underfunding are sometimes unfortunate realities for domestic violence shelters. While being turned away can be discouraging to say the least, it doesn’t mean you should give up. Here are five tips for Finding a Safe Place. Restraining orders, also called orders of protection or protective orders, are civil documents ordering an abuser to refrain from contacting, threatening, assaulting or stalking you. They’re not magic, and some survivors report abusers do break them. But they’re also important tools in safety planning and can be the best first line of defense after leaving an abuser. Learn How to Get a Personal Protection Order and read up on some FAQs About Protection Orders. I’m scared my abuser will get the kids in a divorce. Do you have any advice? Navigating the family court system isn’t easy, but a little research and surrounding yourself with the right people can help prepare you. Read up on how to protect yourself and your children in court. But be prepared for a long road ahead, says attorney Thomas Shanahan. “When you’re dealing with someone abusive and they can’t hit you or control you anymore, they’re going to figure out ways to use the judicial system against you.” Here are 6 Tips for Facing Your Abuser in Court. I think my friend is being abused. How can I help? Watching someone you love endure a life of abuse is painful in its own right, particularly when you don’t know how to help. Start offering assistance by learning what to say (and not say). This video may also help. Then read up on 25 Ways to Help Those Experiencing Abuse. I want to help the movement to stop domestic abuse. How can I support the cause? It depends how you want to get involved! Start by being an example in your own life. Turn off movies that normalize sexual violence, refuse to patronize celebrities convicted of abuse and talk to your family and friends about domestic violence. If you wish to make a monetary contribution, consider donating to domesticshelters.org so we may help even more survivors get help. To volunteer or make an in-kind donation to a domestic abuse organization in your community, search for a shelter and contact staff directly to find out their needs. Do you have a question you’d like us to answer? Message us on Facebook or Twitter, or email askamanda@domesticshelters.org. Is the 'Cycle of Violence' Outdated?